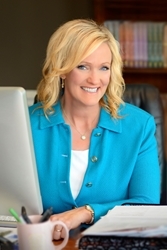 Born in 1963, best selling author Karen Kingsbury worked for the Los Angeles Daily News as a sports author. Her first novel ‘Where Yesterday Lives’ was based on a murder story she covered for the press. With more than twenty-five million copies in print, Karen is most famously known for the epic Baxter family series which features, to date, 27 romantic novels. They are currently being developed into a TV series. In 2011, she and her husband adopted three boys, doubling their family in just a matter of months. They now live in Tennessee near their five children. If you like Karen Kingsbury you may also like Francine Rivers or Katharine Swartz. Novelist, public speaker, wife and passionate mother, Karen Kingsbury is a true inspiration to millions across the world. Selling more than 15 million books globally and becoming a USA Today and New York Times bestseller, Karen is regarded as America’s number 1 inspirational novelist. Creator of remarkable characters and unforgettable writings, Karen fills many with tears, laughter and sincerity. Her work has helped millions find the compassion and love of Jesus, assisting many people through individual circumstances that change their lives. The work of this successful and heartfelt writer is being made into motion pictures, and are sure to grip millions more across the world in years to come.